Sleek extending glass tops tables from Bonaldo. Chat table with two extensions, in white. Close view of the single extension on the Chat table. 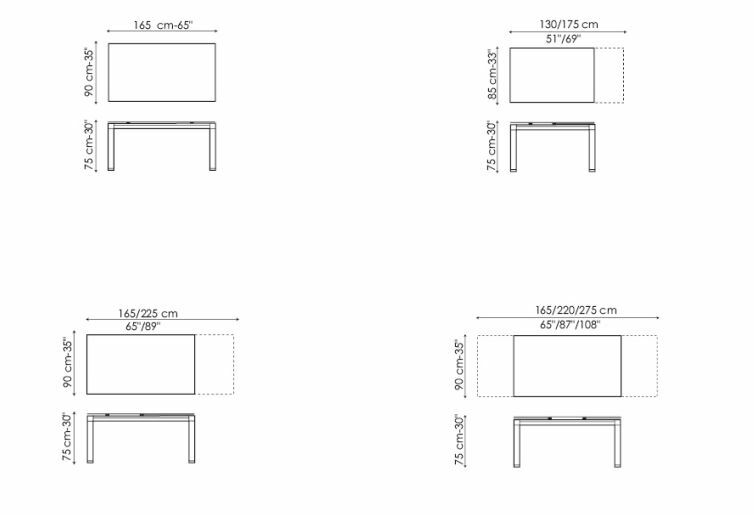 Chat table dimensions, including extending versions. With its sleek minimalistic design the Chat Double is a small but impressive range of tables from Bonaldo that have extending glass top on painted or anodized aluminium legs. Ideal for every simple dining or meeting situation and very affordable. If you cannot see the table you are interested in, in the options above, then please contact us via email at purves@purves.co.uk or call 020 3397 3723 (Mon - Fri, 9am - 5pm) and we'll be happy to discuss the perfect table with you. Designed by Dondoli e Pocci for Bonaldo.